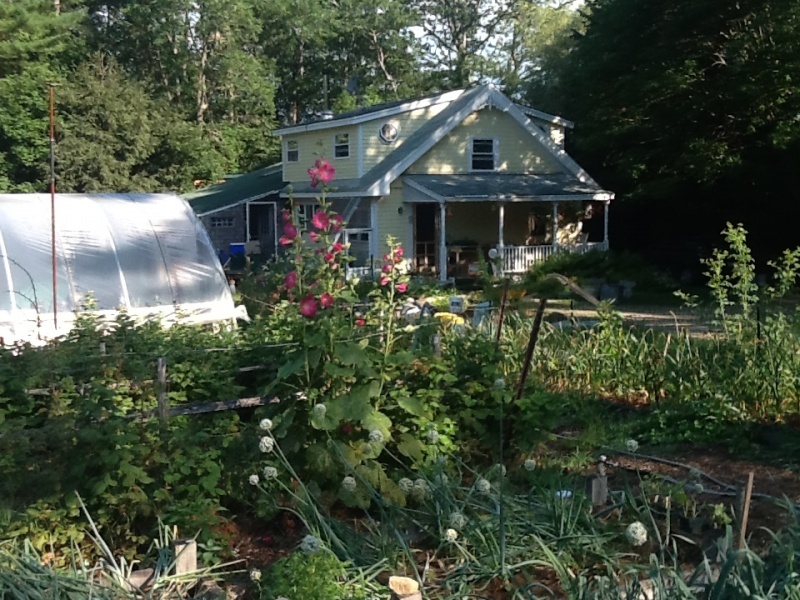 We have a small veganic farm with organic vegetable and flower gardens, fruit trees, a pond and woods in Brooksville, Maine on the Blue Hill peninsula. We offer four rental units. See the Accommodation tab for more information. We love growing our own food and working outside in the gardens. It is satisfying to teach young people how to develop healthy soil and grow nutrient dense vegetables without any exploitation of animals. GMO’s and toxic pesticides and herbicides in our food supply. The cruelty involved in animal agriculture (and other forms of animal exploitation) and the devastating impact it is having on animals, people and the planet. We have come to the conclusion that the best course of action for us is veganism which is good for animals, humans, and the environment. We also believe the best way to avoid the health risks of GMO’s and other toxins in food, is to grow and eat our own organic vegetables. We have a veganic farm which means we use no animal products like manure, blood meal or bone meal to fertilize our plants. We rely on nutrients from compost, seaweed and various garden “teas” to nourish our soil and produce high quality vegetables and fruit. For more information about our gardening techniques, go to www.nodiggardening.org and see our videos.